In this age of mass production and mass consumption, are you paying enough attention to tools and food that fit your lifestyle? Mumokuteki goods & wear is a naturalistic zakka shop in Teramachi Shopping Street that is can help you remember these important things that many people in this modern age have forgotten. 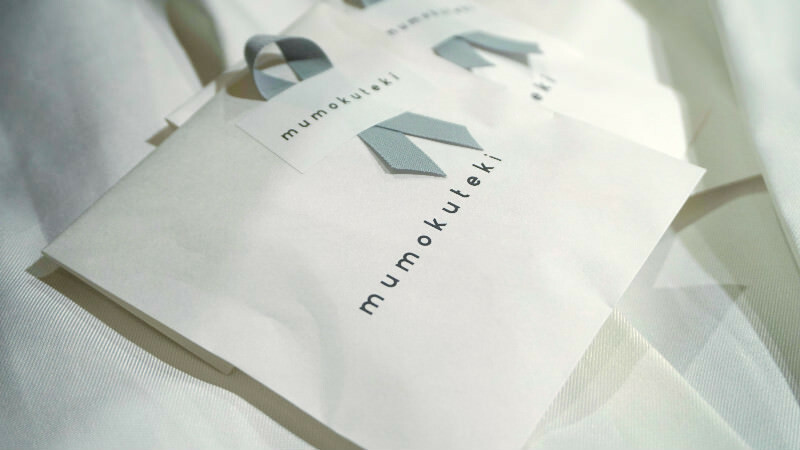 The concept of mumokuteki is “Making things to live with.” As you can see from their concept, they want to make the lives of modern people more fulfilling by choosing the products they have on sale at the shop. All of these items on sale have the warmth of the hands that made them in them, and all of them are precious. I hope you will go to mumokuteki when shopping in Teramachi Kyogoku Shopping Street, as I am sure you will find your own story at the shop. On their first floor, they have all kinds of products on sale, like clothes and plants, but the most popular items are their food products. All of the food products sold at mumokuteki are additive-free. They only select the finest natural food products that use good ingredients, like pasta made of vegetables and vegan cookies made without butter and eggs. When you go up to the second floor, you will see on your left the kitchenware corner. Here you can find products made of glass by the old and established Japanese company Hirota Glass and other things durable things popular here and abroad. It is easy to want to buy a bit too much here; all of the things look so nice and are reasonably priced. I want to recommend this to those that want something different! These dresses were made almost 100 years ago in France! These dresses are dyed using the aozome-method in Kojima in Okayama prefecture, and thus upcycled into something modern and trendy. They were made 100 years ago so they are very durable and well made. Please take a look! The products of mumokuteki also make for great presents! They wrap the presents up like in this picture for free. The logo and the silver ribbon are very cute! I’m sure if you get a cute gift from Kyoto-like this the person you give it to will be very happy. In the food corner of the first floor, they have many products from famous Kyoto shops like tsukudani from Tsunokiti and karinto, a kind of Japanese snack, from Amenbo. Great for souvenirs! I like mumokuteki goods & wears a lot so I often go to it to shop. I like their clothes and accessories, but I am also thinking of buying their kitchenware, which can be found on the second floor, too. Mumokuteki is a 7-minute walk from Hankyu Kawaramachi Station and a 9-minute walk from subway Tozai line Kyoto Shiyakusho-mae Station. They sometimes have English speaking staff present, so you should have no worries visiting this shop. Some products have English descriptions. Japanese, though sometimes they may have English speaking staff.